Two top covers combined with two pairs of easy to switch, magnetic side panels allow for several grip configurations. Experiment together with sensor settings and discover the fit that works best for you. Or tailor your grip to each game you play and the DPI levels you are using, ensuring maximum performance. 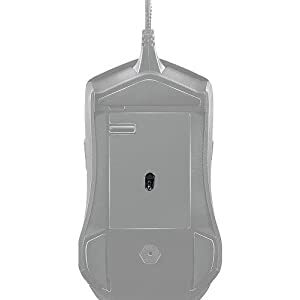 Whether you're sniping from a mile away or swinging a battle axe at close range, the MasterMouse Pro L has a grip for every situation. Limitless color options. 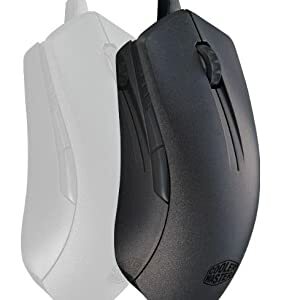 MasterMouse Pro L can shine in more than 16.7 million colors. The choice is yours. Set your color preferences for the mouse wheel together with the back beam and then for both front sides . Save up to five separate illumination profiles with multiple effects options and switch between them at will. Avago PMW3360 optical sensor truly delivers up to 12000 DPI. No interpolation, no acceleration. 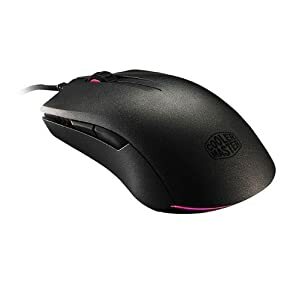 MasterMouse Pro L doesn't estimate your moves. It tracks them in real time.